Office tenants renegotiate rental deals downwards in Mumbai. But Bengaluru and Hyderabad are seeing a different trend, given limited supply in these cities. Cairn India Limited, along with its partners is set to invest Rs 3,240 crore in the Ravva Fields in the Krishna-Godavari Basin, to undertake 20 Developmental Wells and for setting up related infrastructure, as the oil and gas production is dwindling from the existing wells. #BoycottSnapchat became top trending topic after its CEO was accused of calling India ‘poor’Indian netizens. Indian Netizens uninstall Snapdeal app instead of Snapchat. With a growing appetite for returns and exit in a marked-down market, investors who poured billions of dollars into companies such as Flipkart, Snapdeal, Ola, Zivame and others are now in full control of the operations of several online majors. H-1B visa concerns: Infosys to increase its focus on local hiring in the US. Also looks at setting up development and training centres in the US to tide over visa-related issues. Barclay brothers bid for Grosvenor House hotel. The property was put up for sale three years ago by its current owner, the Sahara Group. Snapdeal acquisition to benefit Tiger Global more than Flipkart. SoftBank’s eagerness to exit Snapdeal is matched by Tiger Global Management MD Lee Fixel’s need to take some cash out from Flipkart. Lohia family’s Indorama Ventures eyes stake in Haldia Petrochemicals. A stake sale in Haldia Petrochemicals—48% held by The Chatterjee Group—will require an approval from the West Bengal govt which holds 31% in the firm. Government ‘plans’ of full KYC requirements unsettle Mobile Wallet companies. They seek time till telecom companies link Aadhar to mobile numbers.Dialogue continues. Entrepreneur Gaurav Dua has moved court against Snapdeal CEO for usurping his “non-inventory holding marketplace model for retail”. Approx. Rs.10,000 crore from 5097 companies was spent on CSR in fy 16. This shows improved CSR compliance as per CII’s Annual CSR tracker survey. Payments platforms see more action with the likes of Hike, WhatsApp, True caller planning to launch several wallet apps. Food delivery & food wallet space see action from UberEATS, Swiggy, Zomato Google Areo,Paytm and Amazon. Ola had introduced Ola Cafe in 2015 but rolled back it in a year. Netmeds, the online medicine delivery venture is opening 10 physical stores in Chennai. Shall roll-out in other cities soon. Housing.com comes out of hiatus with a rental section on its platform. Housing.com had merged with Delhi based PropTiger in January this year. 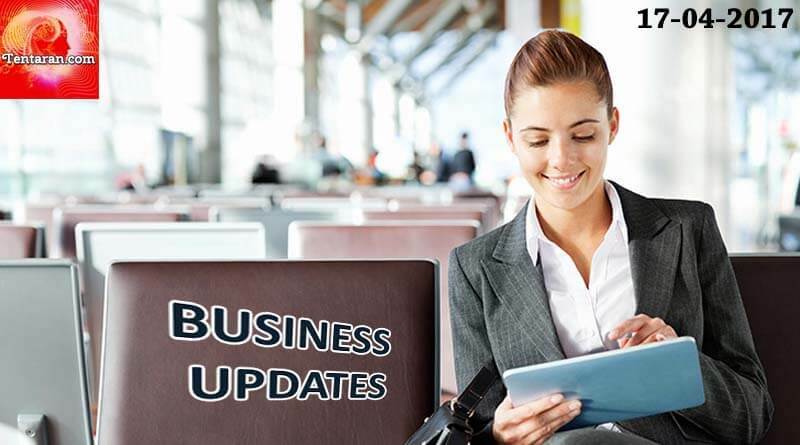 Do subscribe to stay updated with everyday Business News.